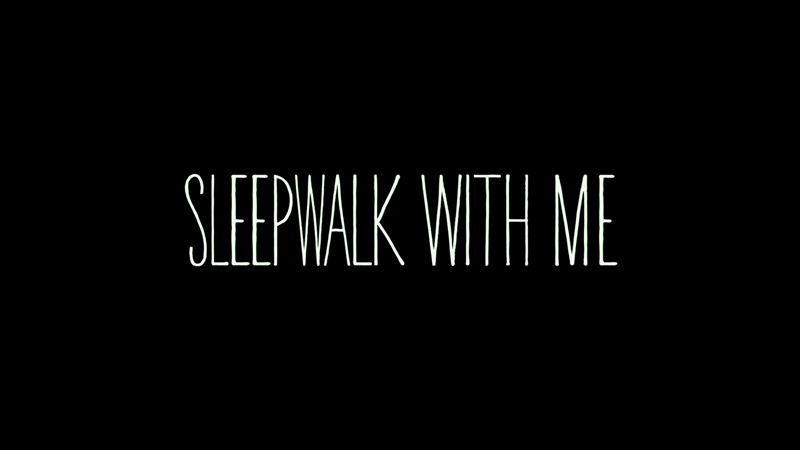 Sleepwalk With Me is an odd film to honestly review as someone who has frequently enjoyed the one-man show it's based on, as well as Mike Birbiglia, the stand-up comedian who wrote, directed and stars in the film. So much of what makes the movie funny is ingrained in my brain, as it takes a lot from his act and obviously from the show, which kills a bit of the surprise factor that's so important in comedy. That the film still works is a testament to Birbiglia's talent and likeability, as well as the input of master storyteller Ira Glass (NPR's This American Life). Together, they craft a touching, beautiful story of the relationship between a guy, his girl and his sleep disorder. The sleep disorder, which lends the film its title, is pretty important, but the movie is really about the relationship between the comic and his longtime girlfriend Abby (Lauren Ambrose). 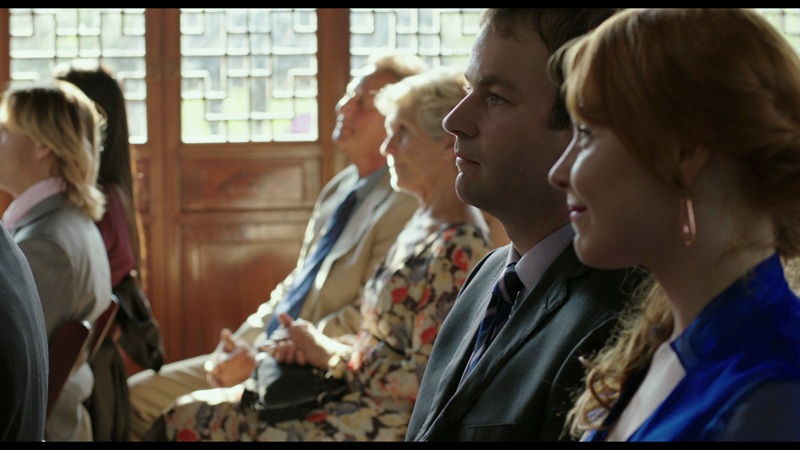 As Matt (Birbiglia's thinly-veiled avatar) tries to make it as a stand-up comedian, Abby stands by him in support, though she wonders about their future together, as she wants to get married and have a family, but Matt isn't ready. It's a definite stressor for them as a couple, but it just gets worse as Matt spends more and more time on the road. If you've ever seen Birbiglia's act you know, but he has a gift for saying the wrong thing at the wrong time (there's a reason his last stand-up special was titled What I Should Have Said Was Nothing.) And in fact, when the strife between Matt and Abby reaches a head, he says probably the worst thing he could. With all this going on, Birbiglia's sleep problems are getting worse, thanks to the terrible hours he keeps on the road. They manifest themselves in sleepwalking and increasingly vivid dreams, which legitimately put him in danger. They also allow for some of the film's best scenes, as the real world and Birbiglia's dream world become intertwined, a blending the film handles very well, while still reveling in the surreal nature of the unconscious mind. That Birbiglia doesn't hesitate to directly address the audience from the first moments of the film helps keep the viewer on his toes, as what feels real can quickly turn fantastical, a cinematic reality that makes the shocking culmination of his sleepwalking all the more powerful, since you can't immediately tell if it actually happened or not. While Birbiglia shows a deft hand at directing (aided by co-director/co-writer Seth Barrish and co-writer Glass), having a fantastic cast to work with (including his own low-key everyschlub persona) didn't hurt. Ambrose is fantastically worthy of the audience's sympathy as the put-upon Abby, lending the character a believability that might otherwise be absent in a part build from questionable decisions. The supporting cast is equally impressive, from the always-lovable Carol Kane and James Rebhorn as Matt's parents to enjoyable appearances by David Wain and Loudon Wainwright III. Meanwhile. for comedy nerds, the movie is loaded with cameos by impressive stand-ups, including Marc Maron, Wyatt Cenac and Kristen Schaal, among others. One of the most interesting things about the film is the inclusion of a moment where Birbiglia's nice guy persona comes down a bit, and he reveals how he betrayed Abby. 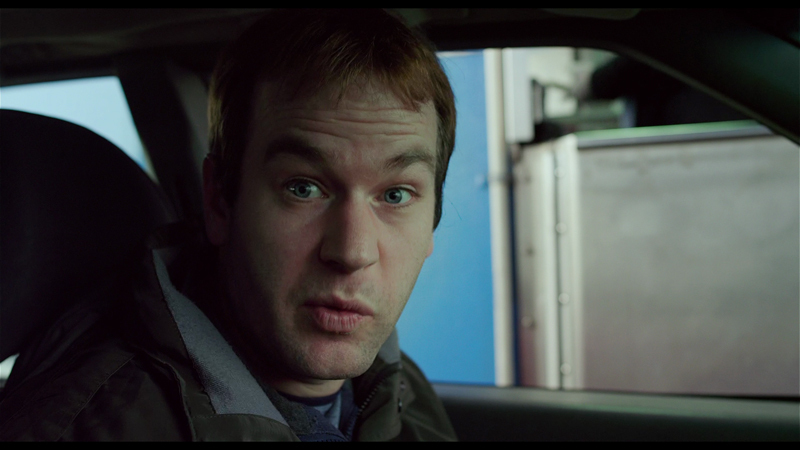 So much of what makes Birbiglia so funny and enjoyable is how likable he is, portraying himself as a big, harmless goof, and this moment risks turning off the audience. The thing is, it's not integral to the story, it's not really too funny and could easily be cut without affecting much, yet Birbiglia left it in. That's probably what helps make him such a talented storyteller, as he doesn't need to make himself look better than he is. Authenticity goes a long way. The film arrives on one Blu-Ray, packed in a standard-width, Blu-Ray keepcase. The Blu-ray features a clean menu design, with options to watch the film, select scenes, adjust the set-up and check out the extras. There are no audio optons, while subtitles are available in English SDH and Spanish. 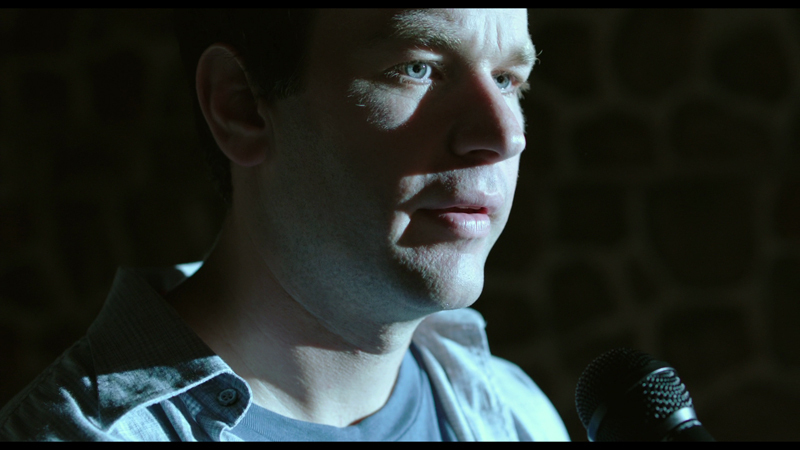 The 1.85:1 1080p, AVC-encoded transfer looks quite nice, delivering the film's somewhat dreamy look well, hitting some highs in terms of detail (Birbiglia's increasing facial stubble reads clearly) while keeping colors and skintones consistently appropriate. There are no concerns about digital distractions, and black levels are sufficiently deep. The movie has a very natural feel to the visuals, and the blu-ray captures that well. For the most part, this film is about dialogue, which emerges clearly from the center channel with solid heft, while the surround speakers handle the film's beautiful score, which fills the room to guide the emotion it's evoking. There's not a lot in terms of directionality or dynamic mixing, but what's there all sounds good and free of distortion. No one should complain about this presentation. Birbiglia and Glass sit down to provide an audio commentary for the film that benefits from the duo's friendship, as the track is light and fun, while still offering up plenty of details about the production, including changes made due to testing to make the film funnier, an actor too famous to keep in a cameo and how much it costs to get a Backstreet Boys song in your movie. The most fun their casual connection provides though may be when Glass is sarcastically shocked by Birbiglia pointing out obvious details. A 13:40 making-of featurette takes you to the set, with lots of on-the-ground footage and interviews with key creative personnel. A good deal of the time is spent praising Birbiglia for his directing debut, but it also focuses on some of the difficulties faced during the production, including acts of God, stunts and the inefficiencies of movie-making. Much like the movie adds visuals to Birbiglia's stage stories, this piece adds visuals to the info in the commentary. There's also an outtakes reel that run nearly four minutes, though don't expect the usual mess-ups, as it consists of shots from two scenes, one where a battery pack from an overhead camera rig injures Birbiglia, while the other is a few angles on one of the film's silliest stunt scenes. All you need to know is, filmmaking isn't always glamorous. While pushing the film, Birbiglia travelled the country doing Q&As in association with screenings. While none of them are included, we instead get a Q&A with Birbiglia and Glass at the Writers Guild Foundation, with Joss Whedon as the moderator. That's just a tad better. After talking about why Whedon is involved (which is a very funny reason) the two talk a lot about what it was like to make the film, including the challenge of directing and how to be funnier, with Whedon being far more involved than just moderating (at one point talking about how Spider-Man could have been in the The Avengers' famous meal scene.) The only issues here are that the sound is awful and uneven, so you have to ride your volume control in order to hear everything and not be blown out of the room, and a short part of the session is missing due to a loss of video. Oh yeah, and no questions from the audience are included. Though a lot of the concepts are covered in the other elements, there are five behind-the-scenes featurettes (running a total 13:31), where you can find out more about the trouble with working with a baby, the many comedians in the film, the real-life sleep specialist cast in the movie as well as the rest of the actors and the look of the film. The repeating titles and credits are a bit annoying but there's good content to be found. Also included on the disc is the film's trailer. If you've never had the opportunity to experience Birbiglia's storytelling before, this is a great opportunity, as his tales are greatly enhanced by the film's visuals, but long-time fans should enjoy it as well, as it offers a chance to appreciate the stories you've heard before in a new way. The Blu-ray delivers the film in high quality, and includes some excellent bonus content to make it worth picking up (especially if you missed the chance to catch one of Birbiglia's theatrical Q&A appearances.) Most everyone should enjoy this well-told, awkward, human interest story.